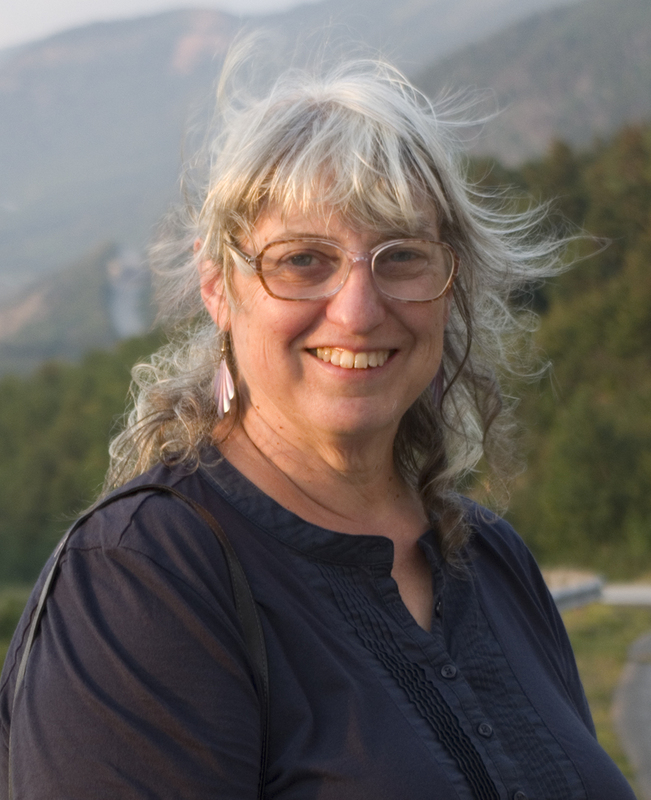 WITH PROFOUND SADNESS we have to report the death on September 15, 2018, of our co-founder and publisher, Diane Karr. She bravely waged a long battle against a virulent cancer that ultimately claimed her life. Visiting hours are on Friday, September 21, from 5-7pm at McGaffigan Funeral Home, 37 Main St., Pepperell, MA. A memorial celebration of her life will be Sunday, September 23, from 2-4pm at Cathedral of the Pines, Rindge, NH. For more on her remarkable life, see here. New Edition of Classic Rail Guide! 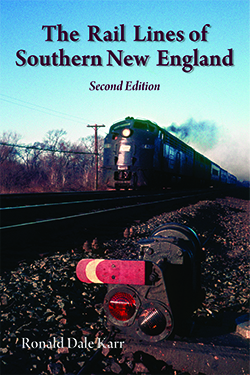 BRANCH LINE PRESS proudly announces the long-awaited new and thoroughly revised edition of Ronald Dale Karr's The Rail Lines of Southern New England: A Handbook of Railroad History. Half of the 100-plus photographs are new to this edition and all of the maps have been redrawn, taking advantage of advances in GPS mapping technology since the 1995 edition. 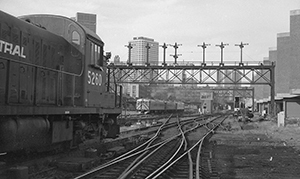 The numbering scheme has been retained, but the histories of the 83 company segments have been thoroughly revised, corrected, and updated to include rail trails, the passing of Conrail, the rise of Pan Am Railways, new abandonments, and expansions of passenger service. If your copy of The Rail Lines of Southern New England is getting a bit worn, now is a great time to revisit this classic! Latest Titles from Bondcliff Books! 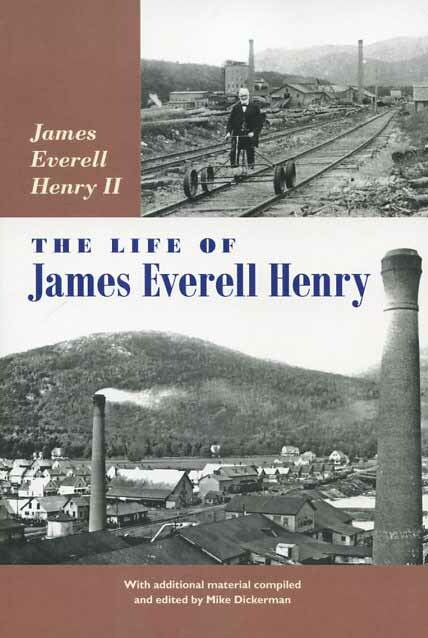 FROM THE LEADING publisher of White Mountain books comes the life of legendary New Hampshire lumberman James Everell Henry. Written by his grandson and namesake, James Everell Henry II, The Life of James Everell Henry tells the story of one of the most controversial and colorful individuals in the history of the Granite State. Originally published privately in 1962, this new edition is supplemented by an extended appendix featuring nearly a dozen pieces offering more insights into Henry's remarkable life, including the the transformation of the town of Lincoln, N.H., from a wilderness outpost to a thriving mill town. 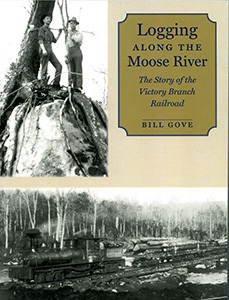 The newest book in famed rail historian Bill Gove's Logging Railroad series is Logging Along the Moose River: The Story of the Victory Branch Railroad. With 106 pages and nearly a 100 photographs, maps and other illustrations Gove has assembled years of exhaustive research into a fascinating story of another of New England’s now-forgotten logging railroads. BRANCH LINE PRESS is pleased to offer a fascinating story of the four Massachusetts towns that were drowned in the making of the Quabbin Reservoir, as well as two detailed historical volumes about the railroad that served them from 1869 through 1935. 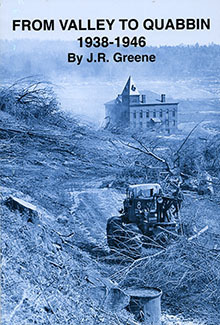 In From Valley to Quabbin, 1938-1946, well-known local historian and publisher J. R. Greene tells the story of the final months of human habitation in the doomed Swift River valley as local institutions were dismembered, the landscape destroyed, and long-time residents forced to leave their homes so their lands could be flooded to build a gigantic reservoir for Boston. In the first volume of Quabbin’s Railroad: The Rabbit, Greene detailed the founding and early history of the predecessor railroads that in 1880 became the Boston & Albany Railroad’s Athol Branch from Springfield through the four “drowned towns” to Athol. 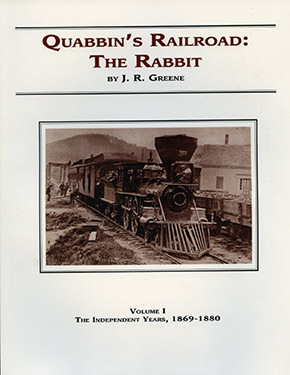 Volume II of Quabbin’s Railroad, published by Greene in 2007, continues the story of the line from the days of its operation by the B&A through its demise in 1935. Both volumes are now available from Branch Line Press. New Hampshire Rail Trails 2d Edition Available Now! A VID BICYCLIST Charles Martin has done it again in this second edition of his popular guide, New Hampshire Rail Trails. The eight years since the first edition was published in 2008 have seen a remarkable expansion in the mileage of improved rail-trails in the Granite State, and Martin describes them all, giving detailed descriptions, maps, and photographs of every accessible abandoned rail line in the state, along with the fascinating rail history behind each one. Bicyclists, hikers, snow mobilers, skiers, and casual strollers will find hours of great outdoor fun, often a surprisingly short distance from home. These trails feature the gentle grades that railroads required and which make them attractive to users of all ages and physical conditions. Let Martin be your guide to the beauty of New Hampshire that awaits you! 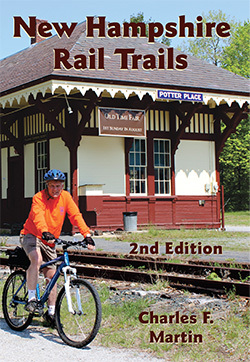 Order your copy of New Hampshire Rail Trails, Second Edition, today! 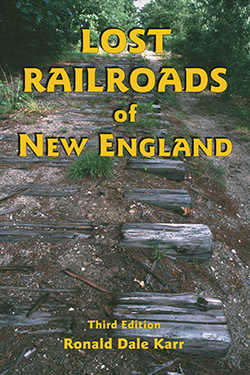 THE 3rd edition of our railroad history classic, Lost Railroads of New England by Ronald Dale Karr, comprises a fully annotated directory to all abandoned segments of every common carrier railroad operated in New England, updated through January 2010, as well as a concise history of the rise and fall of New England’s railroads. The new edition includes all new maps with detailed city maps for areas of dense railroad activity; many more photographs; and new sections on rail trails and abandoned lines that have been reinstated. Find out about the abandoned lines and rail rights of way in your favorite part of New England. Order your copy of Lost Railroads today! SIGN UP today to receive Branch Line Press's periodic email newsletter with special offers and notifications of our new titles as well as New England titles from other publishers whose books we sell. You will receive two or three email newsletters per year. Remember to add branchlinepress.com to the approved senders on your email program's spam filter so you won't miss any of our news and special offers! See our Catalog Page for more of our titles, as well as the titles we distribute from other small New England publishers. 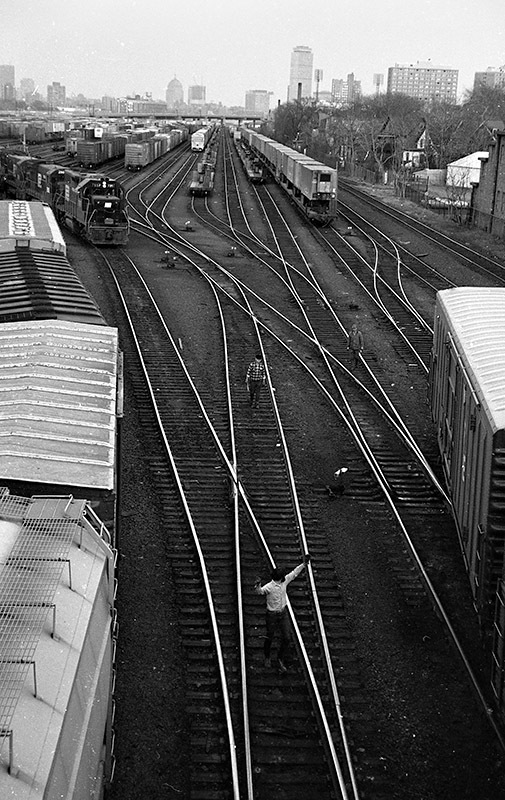 BRANCH LINE PRESS has added matted, ready-to-frame prints of northeast railroad and traction photographs by Ron Karr to our catalog. We have reduced the price on Ron’s unmatted 8x10-inch glossy prints, and for a very modest additional cost we are offering the same great photos matted and ready to pop into standard 11x14-inch frames to hang in your home or office or to give to your favorite rail fan. Check them out here today! Copyright © 2018 Branch Line Press. All Rights Reserved.